Thousands of fear-stricken residents in several towns and villages in Nigeria's northeast Adamawa state have fled their homes after troops failed to retake a major town seized by Boko Haram militants, residents have said. 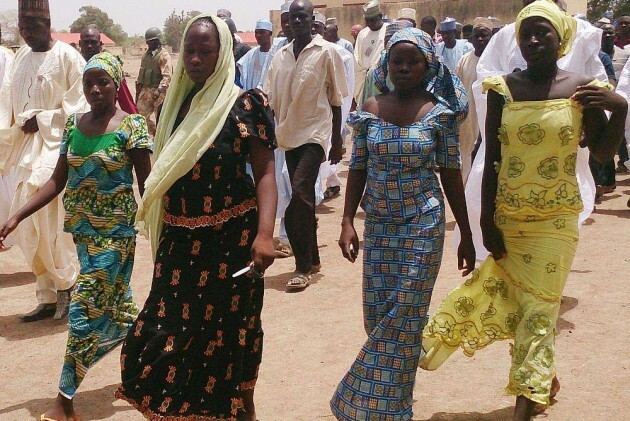 Residents of Madagali, Gulak and Michika towns and nearby villages fled their homes Friday through yesterday following a Boko Haram advance after repelling a military offensive to retake Madagali town, seized by the militants last month. "All the residents of Madagali, Gulak and Michika have fled their homes to the mountains and Mubi town after soldiers retreated from Madagali where they made a failed attempt to push out the insurgents and the recapture the town," said Bello Alaramma who also ran away from Gulak to Mubi, 76 kilometres away. "Boko Haram are now in control of Gulak," headquarters of Madagali local government (municipality) in Adamawa state, Alaramma said. Defence headquarters spokesman, Major General Chris Olukolade, declined to comment on Boko Haram seizure of more towns in the region. Residents of Gulak became apprehensive when troops drove into the town in vans, trucks and armoured cars firing shots in the air in retreat after they were overpowered by the militants in Madagali, 20 kilometres away, said Ayuba Daniel, a Gulak resident. "Around 5:00 pm (Local time) yesterday (Friday) we started seeing hordes of soldiers in vans, trucks and armoured cars driving through Gulak firing shots in the air and soon afterwards people from Madagali started trooping in telling us Boko Haram were on their way," Daniel said. "This forced us to flee to Mubi and nearby mountains to escape Boko Haram attack," he said. Residents of Mubi, 200 kilometres from the state capital, Yola, said the town was "flooded" with people from Michika, Gulak and Madagali. "Mubi is now flooded with people from Michika, Madagali, Gulak, Uba and other villages who have been trooping in since last night," said Muhammad Maishanu, a Mubi resident.